A wide range of engine choices bring different personalities, but they’re all refined and engaging. Third-row accommodations aren’t the best, and even the second row only seats two adults comfortably. 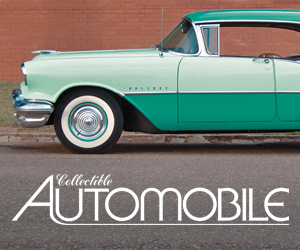 The base model comes with a relatively thrifty diesel engine, and all come standard with all-wheel drive. GL is the largest SUV Mercedes-Benz produces. It can seat up to seven passengers and rides on a stretched version of the platform used for the smaller, 5-passenger Mercedes ML-Class. 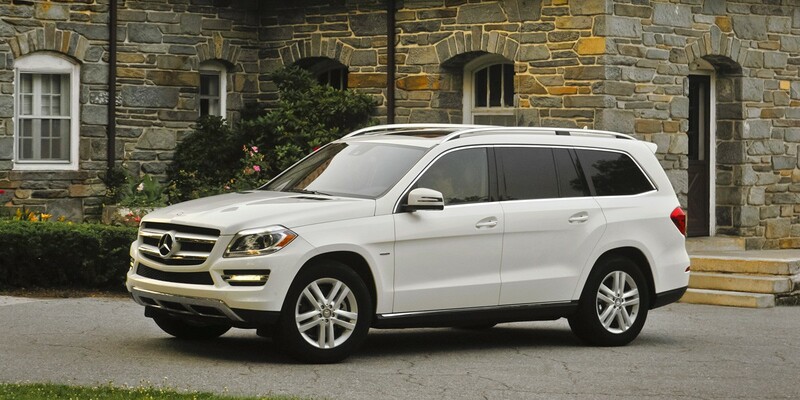 The base GL350 BlueTEC has a 240-horsepower 3.0-liter turbodiesel V6. Just slightly north of there—price-wise—lies the GL450 with a 362-horsepower 4.7-liter turbocharged V8. After that, prices start to climb. The same V8 but with 429 horsepower is found in the GL550, and the top-line GL63 is a performance model carrying a 5.5-liter turbocharged V8 with 550 horsepower. The GL-Class is unchanged after its 2013 revamp, save for the addition of Mercedes-Benz’s unique Splitview dashboard screen as an option. Splitview is capable of projected two separate images to the driver and passenger seats, such as a navigation-system map and a DVD movie image. 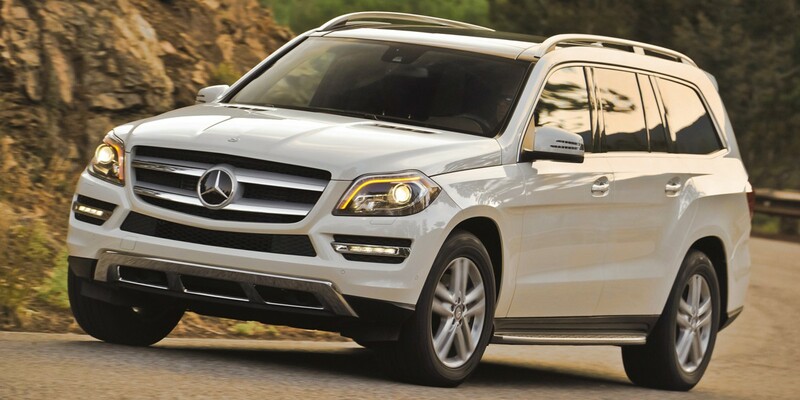 EPA estimated fuel economy for the 2013 Mercedes-Benz GL-Class is as follows: GL350 BlueTEC–19 mpg city/26 mpg highway; GL450–14/19; GL550–13/18; GL63–13/17. 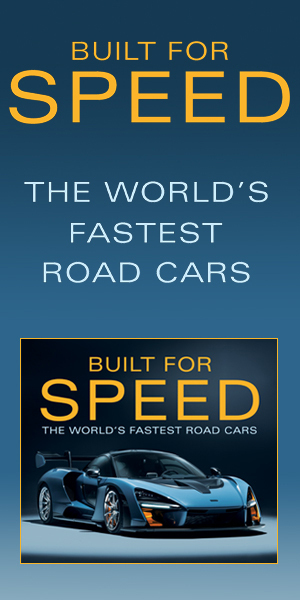 All but the GL350 require premium-grade gasoline. The 350 uses a urea-based exhaust-treatment system that requires periodic maintenance. 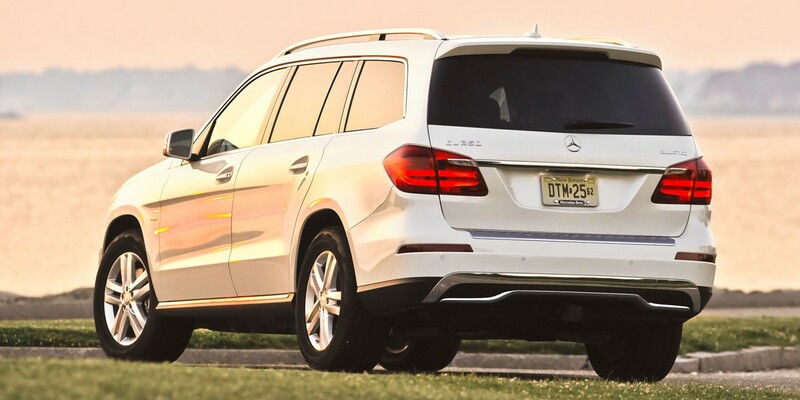 The Mercedes-Benz GL-Class doesn’t have the sheer interior volume of some premium-large SUVs, but accommodations are more than adequate for the majority of buyers. Relatively trim exterior dimensions ease parking and maneuverability, too. The GL450 has enough power that we see little point in spending more for the GL550, and the GL350 BlueTEC diesel has impressive fuel-economy numbers.